Like a truly transparent democratic society, our parliamentary debates and discussions are being brought live into people’s homes. It is a matter of great pride for us that from once being a remote cloistered theocratic country, the Tibetan exile society has evolved into a full-fledged democracy. What distinguishes us from others is the fact that at the risk of falling prey to the dormant disunifying chaos of democracy when the prime need of our struggle for freedom is unity, we have very bravely adopted democracy come what may. Our experiments with democratic governance over the last few decades have, now, culminated in His Holiness the Dalai Lama’s voluntary and complete retirement from politics and no-holds-barred use of free speech by our MPs in the Parliament. Even the oracle Nechung and Gaden Phodrang are not spared. In fact, the live webcasts of parliamentary proceedings draw public interest big time. It is, therefore, natural that people form their different ideas about and interpretation of goings-on in the Parliament. One very clearly seen feature of the present Parliament is the sense of full freedom that the MPs seem to claim in giving vent to their political stands. Some of our MPs seem to believe that no consideration of any kind, not even risk to our unity, should throttle their freedom of speech. Our dilemma is whether it is in the interest of our absolute need for unity if we do not restrain ourselves from speaking anything and doing everything in the name of democracy. Does all-out democracy suit our political condition? But, the reality is that we cannot have a halfhearted democracy. We have no other choice, but leave it to the wisdom of our MPs and our people as to how much of the bounty of democracy to use. One issue that is clearly dividing the MPs into two groups is the policy of the Middle Way. Though not actually said in so many words, the air inside the Parliament chamber is heavy with veiled references to the futility of the Middle-Way Policy. One group of MPs — mostly from Dotoe region — indirectly declare their opposition to the Middle-Way Policy by talking about the uselessness of hoping for the return of the Chinese side to the negotiating table, by doubting the claim of the previous Administration about obtaining the support of the people inside Tibet for the Middle-Way Policy, and by pointing an accusing finger at those MPs who are in the forefront supporting the Middle Way. The other group from U-Tsang and Domey defend the Middle Way. Any discerning person will come to this conclusion watching the parliamentary proceedings. There is nothing wrong with the MPs holding different political views. This is not, no doubt, something very unusual in a democracy. There is room for any shade of viewpoint in a democracy. People have taken the presence of some MPs at Rangzen conferences in the right democratic spirit. This is how it should be. What I wish our independence-supporter parliamentarians had done was to ask for a review of the Middle-Way Policy. Beating about the bush by finding fault with other MPs who speak openly about their staunch belief in the Middle Way only creates the impression of Cholkha conflict in the Parliament. No unbiased person expects people’s representatives to think the same way. A bill becomes law based on majority support. This does not mean that those who opposed the bill lost their right to hold on to their political stand. It is different for our Administration. It is bound by the Middle-Way Policy approved by the Parliament. The Kashag is, therefore, required by law to hold sacrosanct the Middle-Way Policy. It is different for the members of Parliament. Those MPs who had not gone with the majority supporting the Middle Way can continue to oppose it. As legislators, they can keep on trying for majority support to their viewpoint. Nothing should hold them back from asking for the review of the Middle-Way Policy. Making vague and indirect remarks that others are expected to understand as opposition to the Middle Way is wastage of the precious parliamentary time. Our society, in general, has become more tolerant. A vast majority of our exile society, at this time, are more educated, have grown up imbibing democratic values, and are comparatively more broad-minded. They can understand that it is not a sin if our MPs ask for the review of any previous law passed by the Parliament. The Middle-Way Policy can also be debated in the Parliament again. It is clear that there are MPs who are dissatisfied with it and who question the truth about the high percentage of Tibetans inside Tibet that the Administration claims support the Middle Way. If, once again, there is a majority support for the Middle Way, there will, then, be more reason for independence-proponent MPs to respect majority will and less reason to dismiss the Middle Way as the whim of a few people with authority. The impression a section of MPs seeks to create that the Middle-Way Policy is forced on the people by a few unpatriotic leaders needs clearing up. This is possible only Rangzen MPs choose to come straight to the point and introduce a bill for the review of the Middle Way. One thing that stands out clearly from our observations of the parliamentary sessions is the Choeluk MPs living up to the proverbial recklessness of the monks. Da Va Da Kyang- fully monk. Tenpa Yarphel’s rant against Nechung and Gaden Phodrang, Geshe Gowo Lobsang’s very cunning enumeration of Gaden Phodrangs ‘misadventures’ (political meddling) wrapped in veiled warning, and Sakya Choeluk’s MP reminding people that there is no need to listen to everything that His Holiness the Dalai Lama says, are examples of pure political salvos that will only weaken our society. Whenever a Choeluk MP stands up to speak, we literally feel the lull before the storm in the Parliament chamber. That is why I have always believed that one Choeluk MP from each sect should be nominated to the Parliament by the head of the sect. Thus, when he is made answerable to his spiritual boss, he will watch himself and start raising points about the interests of the venerable monk community and refrain from stroking the quagmire of dirty politics. This can also be a solution to the question: Why monks are given more voting right than the lay people? One strange bill passed by the 16th Parliament is the one that deprives non-governmental organisations of the right to name a candidate or endorse a candidate during an election. This amounts to taking away from them a basic, fundamental democratic right. This is a universal practice in all democracies. Stripping such organisations of this political right in the name of national unity is not easily comprehensible. If the MPs think that these organisations harm the cause of Cholkha harmony by naming and supporting a candidate in an election, our democracy is, then, too fragile for us to depend on it to hold us together. But, the fact is that general public does not get easily swayed by rabble-rousing by unscrupulous leaders. The decision to prevent NGOs from picking their own candidates or endorsing candidates during elections is self-contradictory. There are MPs in the Parliament who are leaders of important non-governmental organisations. The bitter feeling ignited during the last Sikyong elections was, I surmise, not because some NGOs picked their candidate. It was because of the vilification campaign that some of the supporters of both the candidates ran on the social media. This is very unfortunate. But, we have to come to terms with the reality that in a free democratic society, there are people who who consider it fun to be mischievous. But, it is very reassuring that our people have remained as united and as brotherly as they always have been all our time in exile. The emotion of fraternity and oneness that people of all the three Cholkha have felt for one another is unprecedented. The same is true of our brethren inside Tibet. It is our MPs that emphasize Cholkha loyalty. There has been no incidence of tension of any kind among our people even though efforts are being made to arouse emotions of regionalism. But, our people are wise. Ladakh is a good example. Paying no attention to the exhortation by their own Ngari organization to vote for Tsoktso Penpa Tsering, people voted for Sikyong Lobsang Sangay en masse in the 2016 elections. Kham and Amdo people do not constitute even one percent of Tibetan population in Ladakh. Unfortunately, we see Cholkha division only in the Parliament. A few mischievous persons plotting to stir up Cholkha feelings on social media just can’t threaten the wisdom of the general populace. The call by some MPs for the surveillance and censoring of social media content is too far-fetched an idea. To borrow from E.M. Forster, controlling the social media is an area where angels fear to tread. Does our Administration have the capacity to referee all the social media? The answer is very obvious. Are we not accusing China of gagging the social media? Our Parliament as a check on the functioning of the Kashag-led Departments is a high point in the evolutionary process of our democracy. People get to watch live online how ministers, including the Sikyong, are made answerable to the Parliament. And, Parliament represents people’s authority. The way our Administration functions is the way of the Parliamentary democracy. Therefore, MPs grilling ministers’ points to the fact we have come a long way from those docile Parliament days. Our Parliament accrues more respect and prestige from its growing assertiveness. I can’t thank enough our MPs for their contribution to making our Parliament increasingly robust. This is the reason why the ministers need to come prepared to the Parliament. Palden Tsok-Tso Chok, I conclude by proposing a change to the unwritten dress code that our MPs follow during the parliamentary sessions. Intending no aspersions on our national costume Chupa, I propose the idea of our MPs turning up in the Parliament in modern dress suit. I include women MPs also. Our practice is to wear Chupa for formal functions. But, our MPs come to the Parliament for work. That too a very serious one. For determining a nation’s destiny. And we don’t go to work wearing Chupa these days! May be Chupa is suitable for the opening and the closing days. Not encumbered by the formality that Chupa entails, our MPs might start showing the lighter side of their personality under the influence of the modern jacket! Who knows? Palden Tsok Tso Chok, I hope I will get སྤྱི་མོས་ (all the MPs) and not མང་མོས་ (simple majority) support for my proposal. 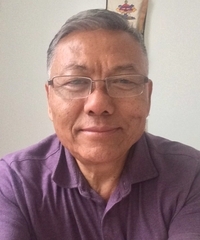 Now living in Toronto, Canada, Norbu Tsering has worked in India as lecturer at the Central Institute of Buddhist Studies, Leh, as teacher at TCV schools Ladakh, Upper TCV, and Gopalpur, and as Principal of TVC School, Ladakh. More articles by Norbu Tsering on Tibet Sun. Any kind of attempt to censor unrestricted free speech is sign of theocracy. We Tibetans don’t have to worry. If an MP says something that right to free speech under Indian Constitution, individuals can call police or go to court and file a claim of free speech abuse. Otherwise, keep quiet, and accept it. Most educated westerners say Sept 2018 parliamentary system is only the start of democracy happening in exile. Earlier everyone was scared to speak up their mind because of threat to their life. But now, since 50% of the Tibetans live in the West, life is pretty secure. Watch Indian parliamentary proceedings. They call it unity in diversity. people express diverse opinions, insult and offend each other, and even threw tables. But HH Dalai Lama said it is better than Chinese congress which is quiet, uniform, with everyone thinking the same. Why? because there is someone who is very bossy – Xi Jinping.